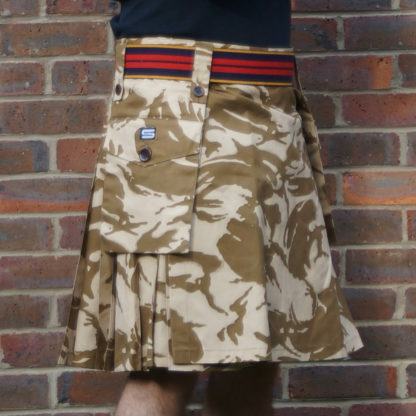 The design of these kilts is different from most of our others: they have wider front aprons and a simple wrap around closure. 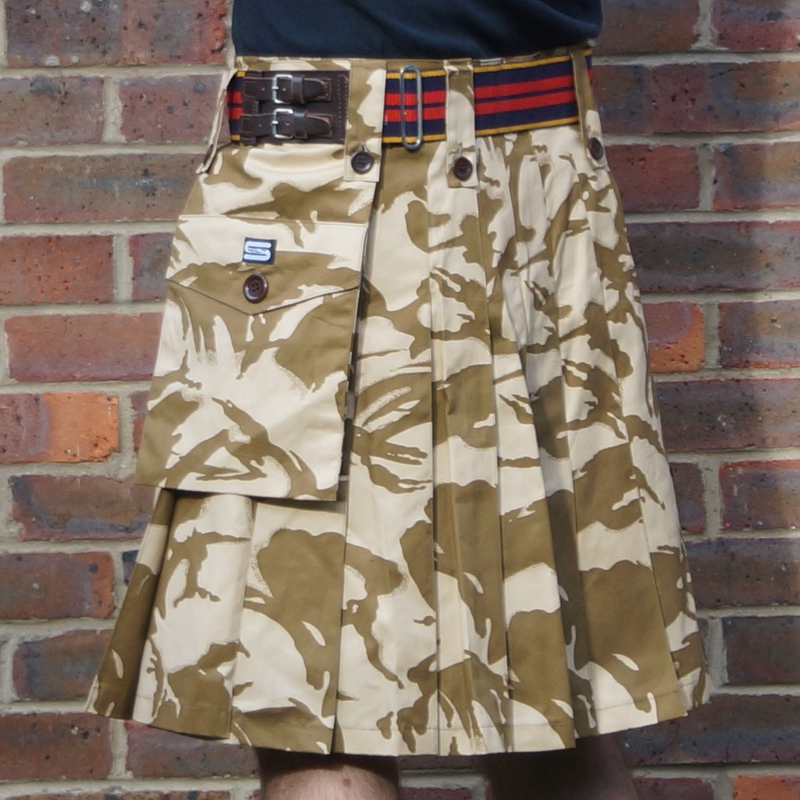 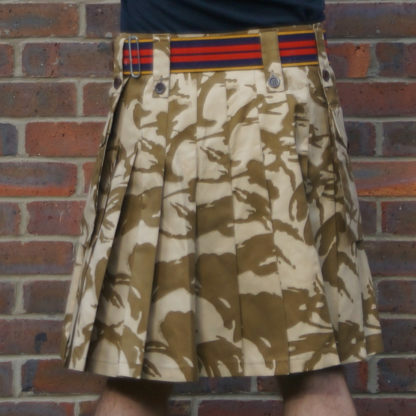 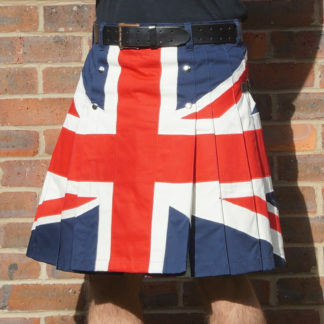 The Combat Skilt is a fusion of kilt and classic British Army combat clothing. 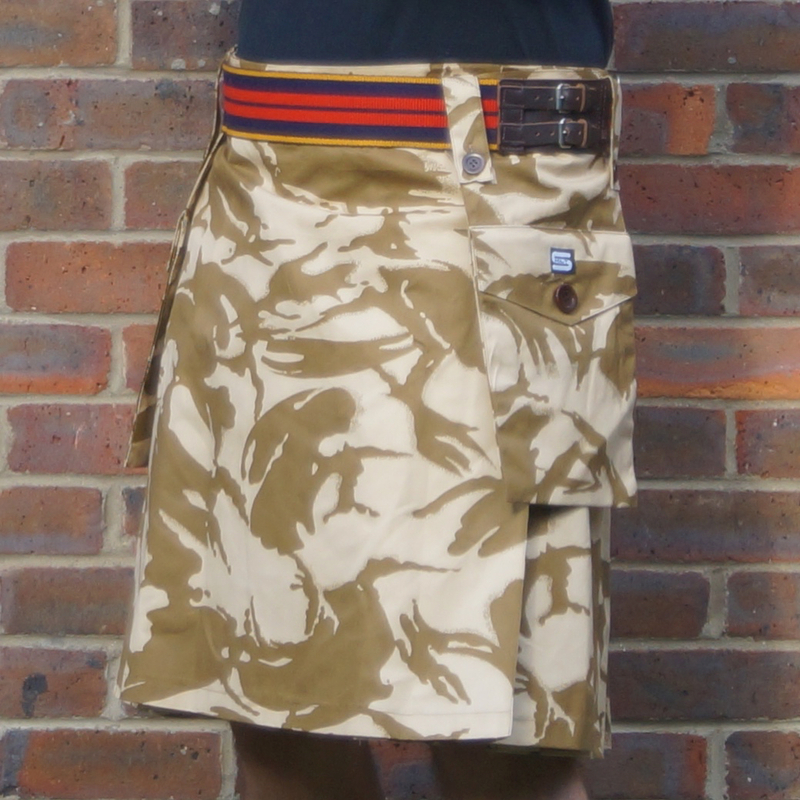 Old style button down belt loops allow a wide stable belt (not included) or 58 pattern webbing belt to we worn with ease. 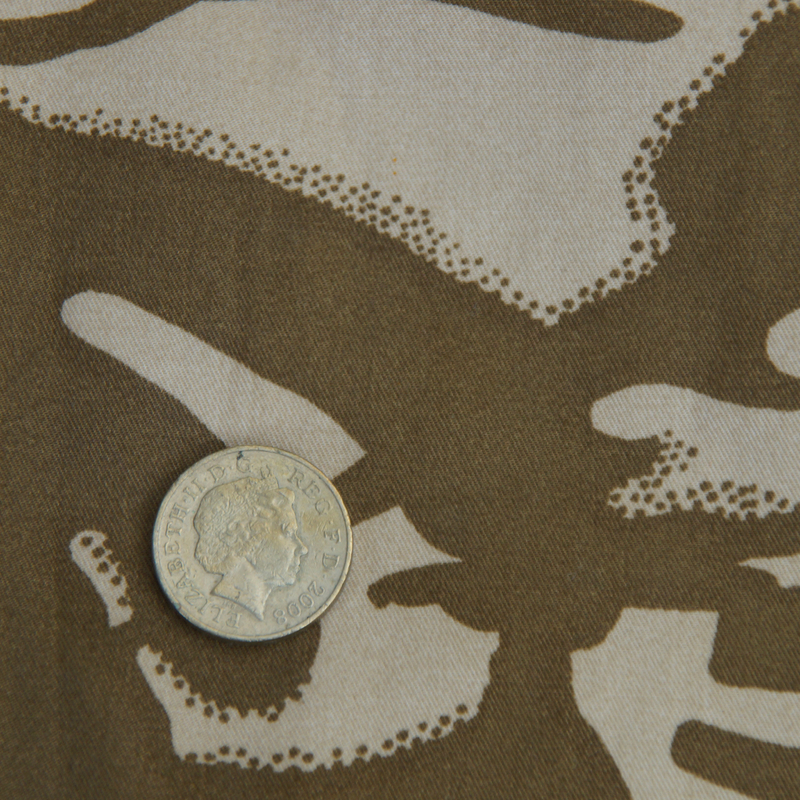 Wear the pockets at the side for the true combat look – on patrol or harboured up in the bar. All buttons are made from corozo not plastic. 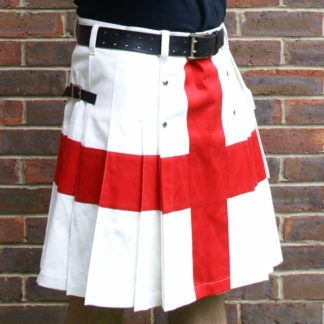 If you require a different length or waist size then please let us know – if we still have fabric on the roll we can make you one to order.